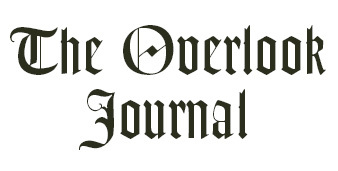 With a new school year having already begun, so too has the ‘Overlook Journal’ – Thornton-Donovan School’s student-run newspaper. As I have mentioned in previous posts “The Overlook Journal Rises” and “Toasting the Staff,” I commend the tireless work of the staff in first rehabilitating the sagging paper and now overseeing its prosperity. Here’s to another productive year! Welcome to the 2017-2018 school year, returning and new Overlook Journal members! I want to start out by commending last year’s staff on their most prolific year to date. Not only did the amount of pieces produced increase, but the quality of work did as well. There was much to be proud of, and the staff on the whole deserves the plaudits for a job well done. With that said, last year is over. Now, as we begin a new school year once again under the guidance of Editor-in-Chief Quincy Campbell ’19, we look forward to putting together a staff of dedicated and diligent student writers and editors. Students, however, do not have to be the best in either of these fields, and they most certainly do not have to seek a career in journalism. Instead, we desire those who are interested in chronicling the myriad events of the T-D experience in a creative manner. Moreover, we are looking for diverse and engaging perspectives from anyone who wants to be involved in the production process – copy-editors and artists, don’t be shy. Remember that people do actually read and comment on the Overlook Journal, and, for some, this is their only remaining connection to T-D. I encourage any interested student to speak to Quincy about possible roles at the Overlook Journal. Looking forward to another bountiful and rewarding year, I believe the possibilities are boundless.